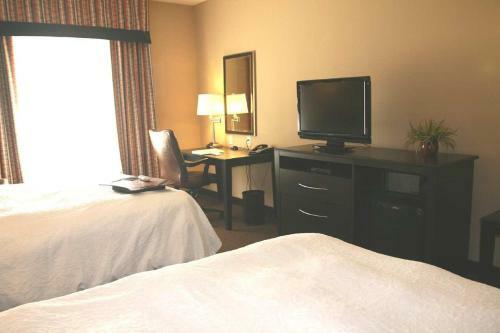 Located in Brighton, Colorado, this hotel offers a free daily breakfast and free high-speed internet access. 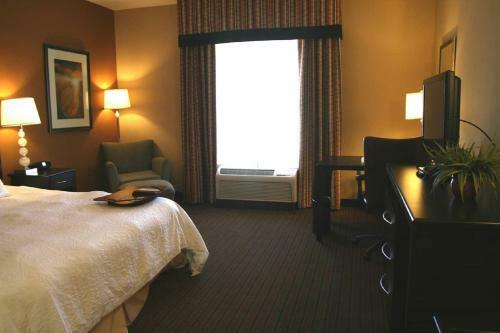 The Denver International Airport and Riverdale Dunes Golf Club are minutes from the hotel. 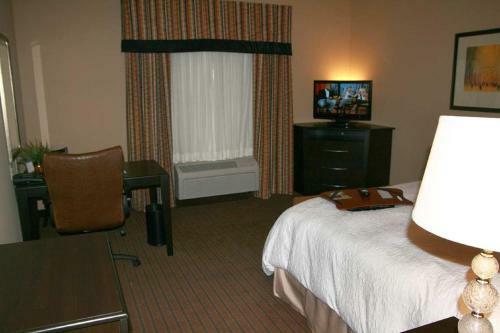 Guest rooms at the Hampton Inn Brighton feature a flat-screen LCD TV with in-room films. 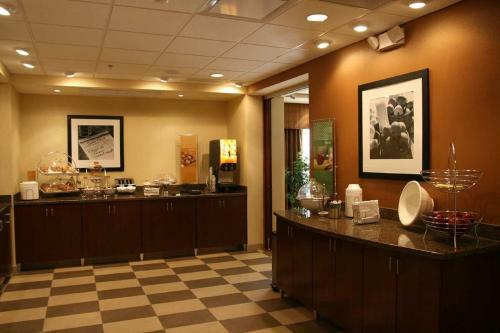 A coffee maker, a microwave and a mini-refrigerator are available in each room. 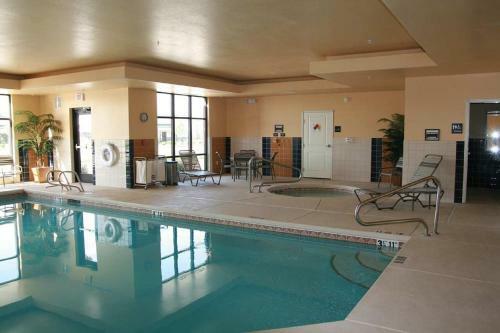 An indoor pool and a fitness centre are on-site at the Brighton Hampton Inn. 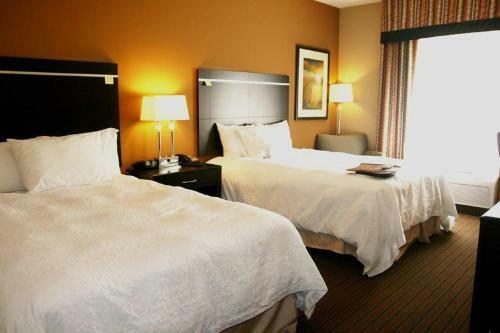 The hotel offers luggage storage and laundry facilities. 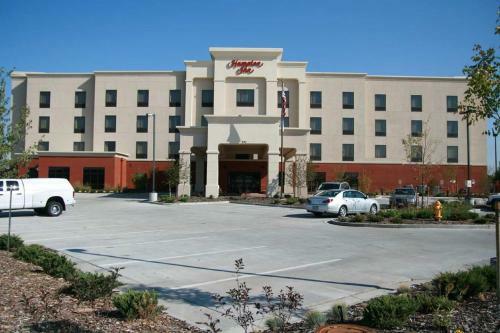 The Denver Zoo and INVESCO Field at Mile High American Football stadium, home to the Denver Broncos, are a short drive from this Brighton, Colorado Hampton Inn. 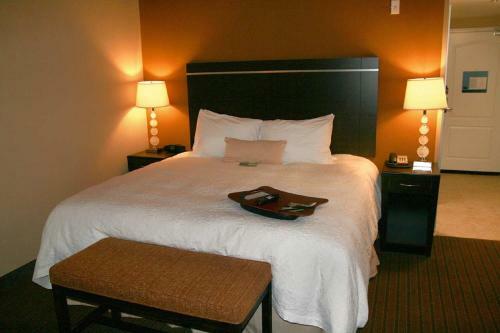 The Denver Art Museum is also within driving distance of the hotel. From sports buffs to patrons of the arts, Denver is the perfect destination. Denver proudly boasts the nation's largest public park system with more than 1,360 km of trails. Test your stamina against the Rocky Mountains - a hike in Denver is unlike anything you'll ever experience elsewhere. 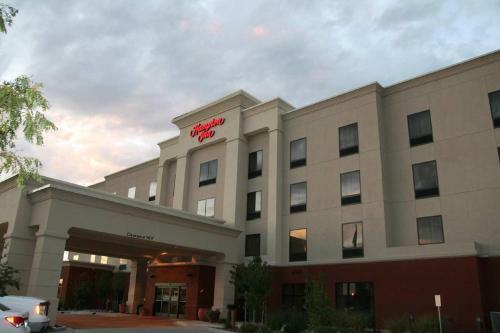 Just minutes away from this hotel in Brighton, you'll find a true golfer's delight: Riverdale Dunes and Riverdale Knolls. These twin courses on the banks of the South Platte River feature unique challenges that will reward and challenge golfers of every skill level. If you're more of a sports spectator, Denver is still the ultimate sports town: home to more than a half-dozen professional sports teams. Head into the city centre for the Denver Art Museum and the Denver Zoo in City Park, then cap off the evening with dinner at one of the Mile High City's world-class restaurants. 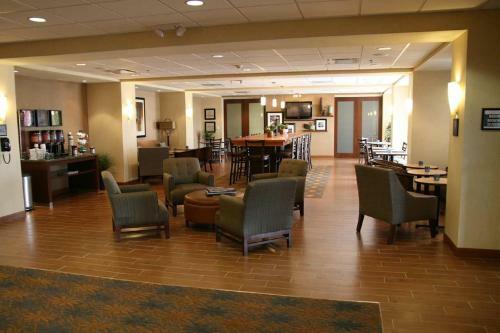 Visit the Hampton Inn Brighton and discover why Denver is a great destination. 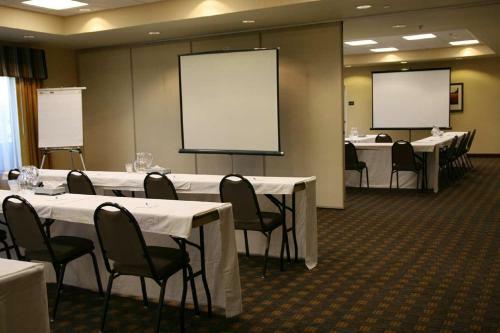 the hotel Hampton Inn Brighton so we can give you detailed rates for the rooms in the desired period.